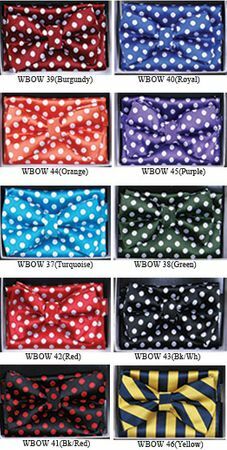 If you wear mens suits on a regular basis or just want to have the latest look, these fancy style pattern bow tie sets are it. Featuring a big bold adjustable bow tie and the matching hanky. These are all You need to wear if You want to have that updated look that is so very much in Style.